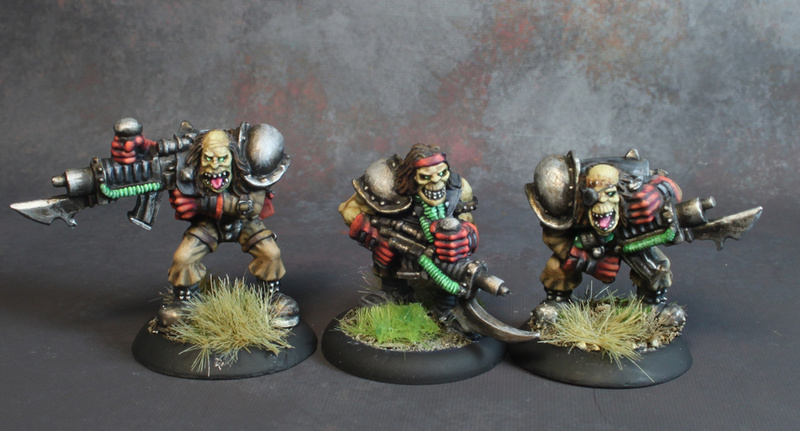 Prodos Games LTD Forum • View topic - Converted back to the Dark Side! Post subject: Converted back to the Dark Side! Got myself a nice load of Dark Legion and that means I'm back with the darkness again! Started back in 1995 with Dark Legion, so it's good to be back with the bad guys. Now I don't have the deck of cards, so I will get the new starter set too (+2 Necromutant Leaders, +10 Undead Legionaries, +1 Razide), so I will have more than enough. There won't be any Riders as I think they are a bit daft and don't like the concept at all. Can't wait to test out the list and my first go-to Warlord will be Valpurgius. I think he's amazing with access to some amazing powers. I would like to pair him with a Black Widow, but that's one for later. For 1000 points, I'll up the Legionaries to 10 (add one Plaguedealer), the Necromutants to 7 and add two Praetorian Stalkers. Can't wait to get back to the dark side and harvest some human souls! Post subject: Re: Converted back to the Dark Side! a) use proxy cards and build your deck from what cards there are, not based on what cards you own. b) ignore Valpurgius in 1000 points. He is too fragile and not lethal enough. What amazing powers are you speaking of? 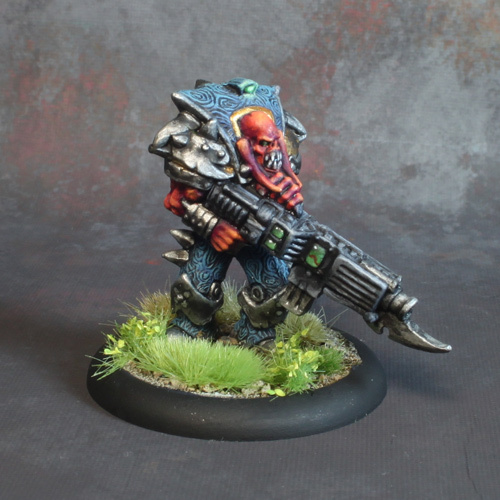 c) if you build a custom warlord, there will be a good one for 170 points or so. You could buy a Necrobeast Rider for the points saved. a) No I won't. I don't like proxy cards as this bacially means I'm netdecking and I don't want that. I have what I have and my opponent has what he has. That is good enough. b) Don't agree he's too fragile. In my experience fragility comes down to the Impenetrable Armour value and with a value of 12 that is fine. And you can keep him back behind a squad of Razides which take the hits he gets. With their Nazgaroths they make ideal bodyguards and they are still very deadly. With access to five free powers, his cost is fine and he brings fantastic tools for your army. Dark Banishment is great one for collecting souls and the other ones make good support powers. Call of Corruption is a fantastic power for battlefield control. Con-tests are scary, especially if you cannot heal the wound effect. And also great as a med-pack for your own forces. Blindness is a nice one to cast later in a turn, so units like Heavy Infantry or Armoured Chasseurs are screwed real good. This one becomes even more interesting if you manage to nuke your opponent's Warlord. Bringer of Dark Tools is one of the better spells IMO...+2Strength is brilliant...either on the cheap units or the expensive units. They all gain so much power! Same goes for Transmorphication. Once again an excellent buff spell. c) Yes, I know custom warlords are always better. But that doesn't mean I always want to play them. Me and my mate don't play Warzone as a competitive game, so we're not aiming for the most cost effective solution. And I despise Necrobeast Riders, so they won't see action in my lists. Just hate the concept and sculpts. a) Netcarding is for munchkins! b) I think its all dependant on skill level and Advanced/Basic rules. c) Custom Warlords should and I hope will be nerfed into oblivion. For the cost of 200-230 (cheaper or around the same points as named Warlords) points you get a one man army. My force will be a mix of old style models and new style models as I love both of them. 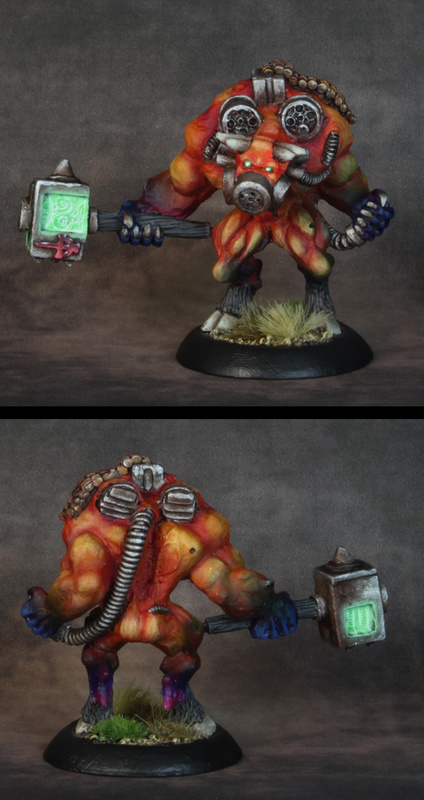 The Gomorrian Emasculator will be my custom Warlord...he's perfect for both a ranged and a close combat one! I have rebased him on a 40mm base by now. Love the old Stalkers! By now, I have rebased them on 40mm bases. I adore the old Necromutants! The middle one is an old Mutant Chronicles one (came in a blister with an undead legionaire). I have rebased them on 30mm bases. Nice collection! I also dig Kev's razide model - mine is still waiting for the paintjob. Very nice work there mate they look great good to see old making a come back. Finally started building my kickstarter first conversions beast riders. It`s been along while coming. a) I feel everyone can do what he wants. Just saying that if you use old models, you are obviously not playing with the cards that would come with those models today. Also, some things are just ridiculous. Need to buy 3 Behemoths to be able to play 1 card 3 times just because it´s only included once? As it is now, even 1 behemoth is too much. b) No, he cannot cast 3 spells per turn. Each action, Buff, Debuff, Shooting, costs 1AP as it is written in the rulebook. So you would need to t2b 1 to give him a 3rd AP to do that. And yeah. Every opponent I have played uses Rapid Deployment. Why wouldnt you if you have super cheap Etoiles or Valkyries? And yeah: RD is the bane of most warlords. But most warlords dont cost 30% of your army total. Still I would be happy to play against Valpurgius one time and just see what he does in real life. I still feel that 275 points is just too much when you could just buy 3 Nazgaroth Razides for that. I´d really rather do that. Or 5 Nazgaroth Nasca Razides, for that matter. c) it was just an option. you could buy 3 Nasca Razides, too. Or just 6 Necromutants. Btw: Super cool looking old models. The best I have seen so far. That's just different tastes and way of playing. I do have loads of old models but I will add new stuff. For instance, I have a new Razide and new Necromutants, so have these cards available. And I'm not interested in maxing cards, unless I have them. First, burning one for a third spell is a excellent trade-off IMO. Second, your argument goes for about all named Warlords. They are all too expensive for what they do. The main upside are the cards they bring to the game, but that's basically all. I Think Prodos could fix this by adding the full alotment of their cards to their blisters (so 5/3/3). This way you can really play a strong advanced game without having to buy multiple copies of a model.